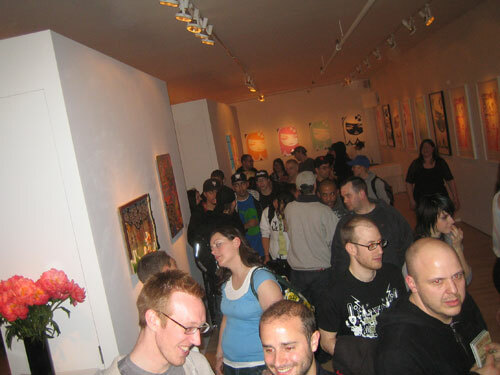 Opening Weekend September 5th and 6th till the end of September, the 16th Annual Art Hop will be taking place in Burlington's South End. 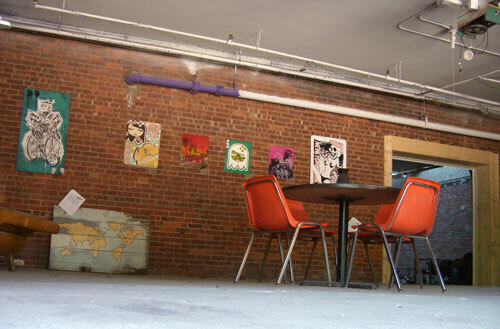 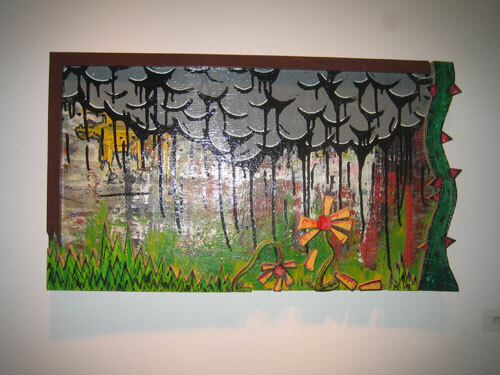 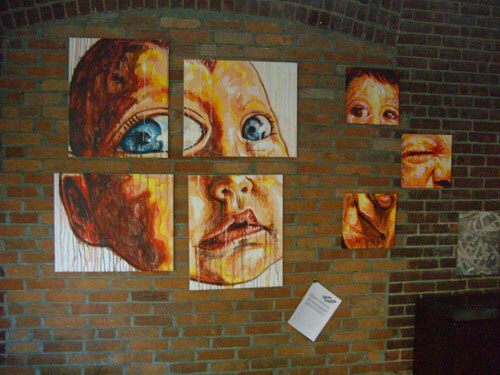 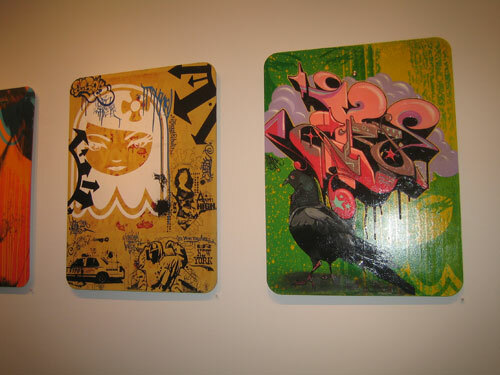 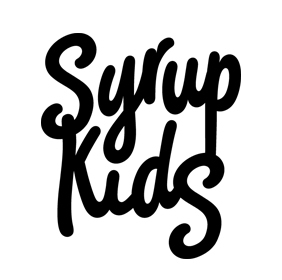 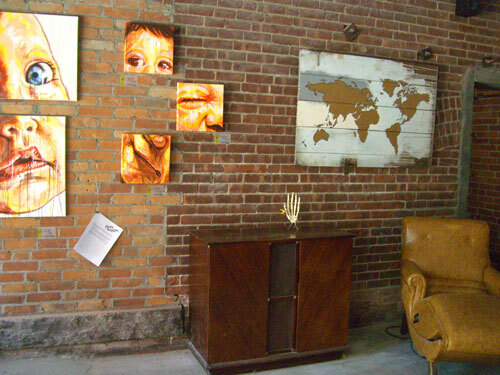 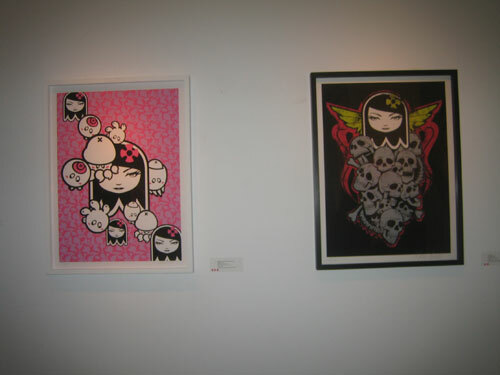 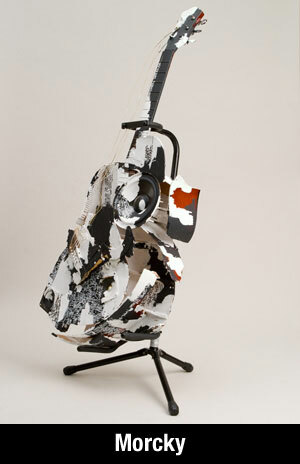 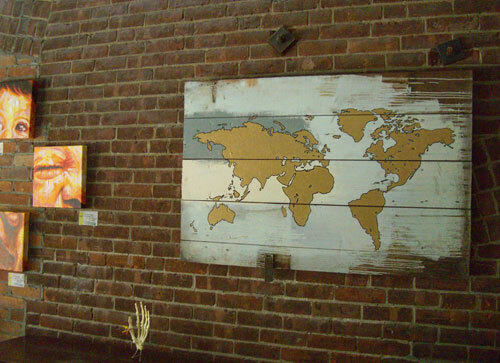 Syrup Kids' artists Matt Siren, Steve Raggie and Craig Moores will be entertaining the masses with their new works. 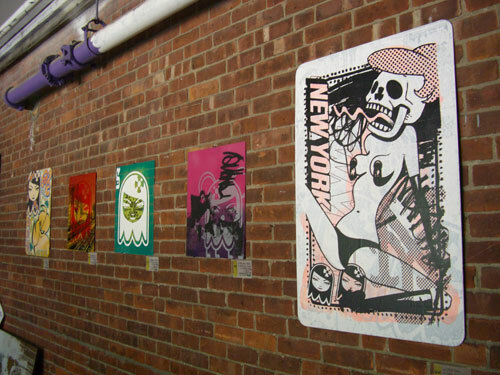 Images of works to come. 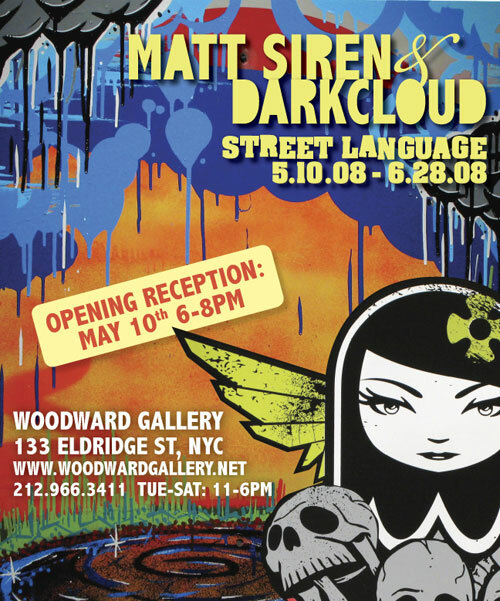 Mark you calendars! 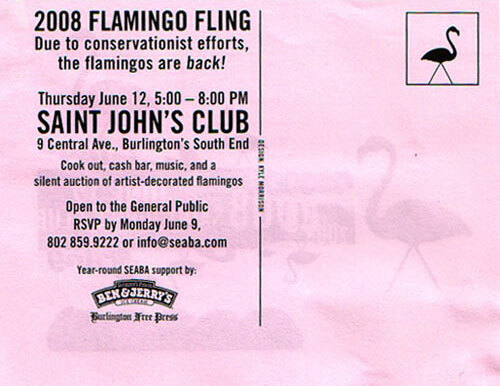 On Thursday, June 12th, SEABA will stage its annual "Flamingo Fling" Silent Auction and Membership Meeting at the Saint John’s Club located at 9 Central Avenue in Burlington from 5 to 8 pm. 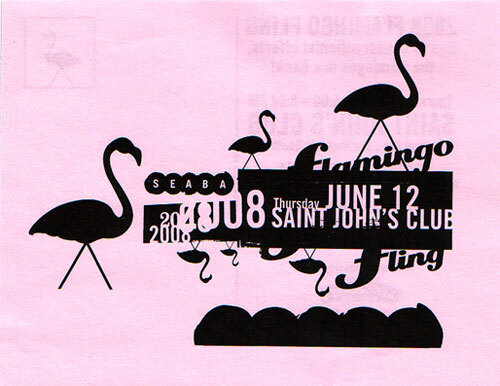 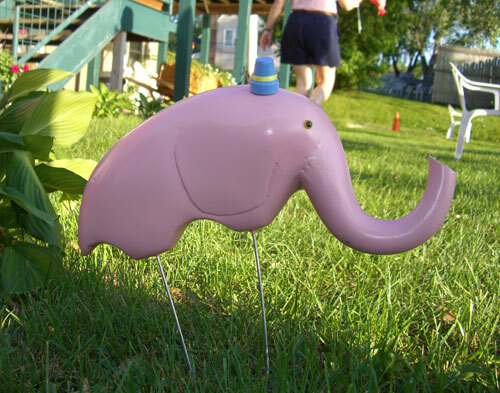 Featuring nearly 60 pink plastic flamingos recreated by local artists. 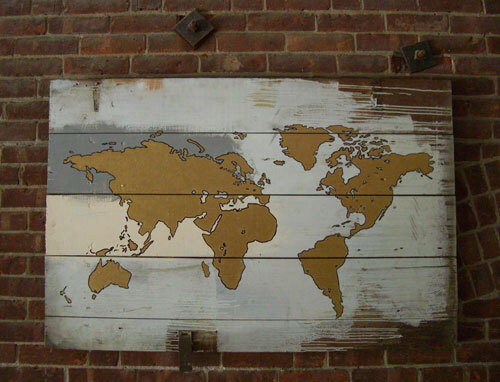 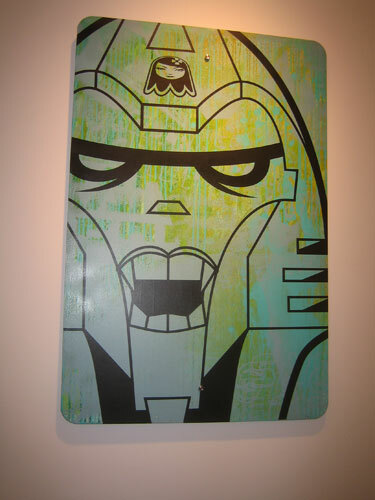 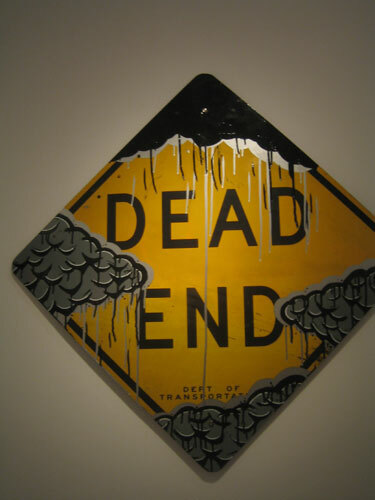 Street artists Matt Siren and Darkcloud collaborate on huge street signs. 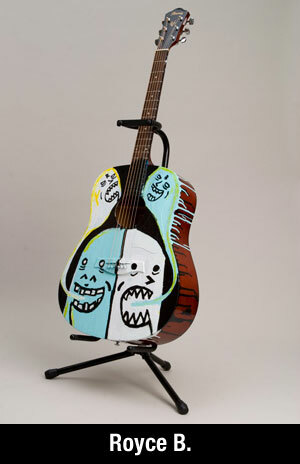 It's another custom show but with a twist. 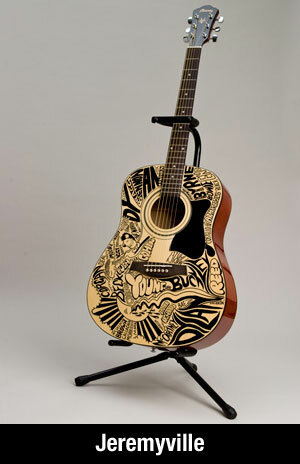 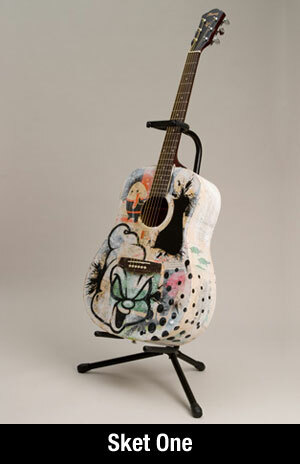 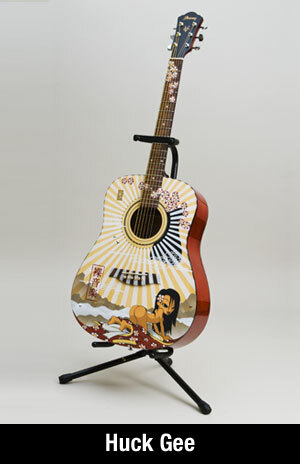 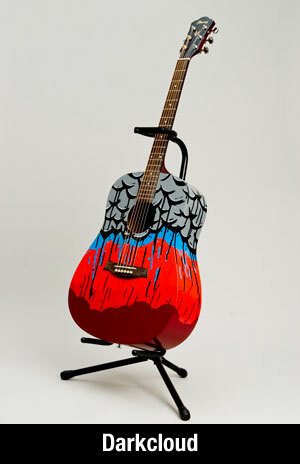 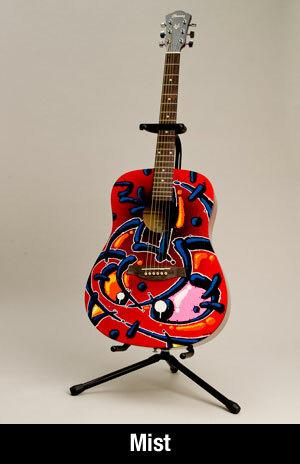 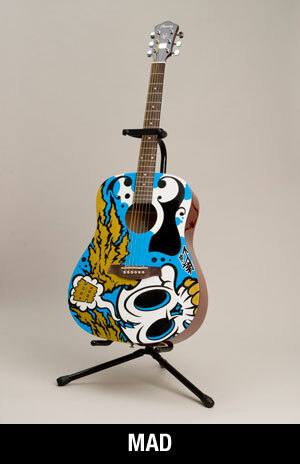 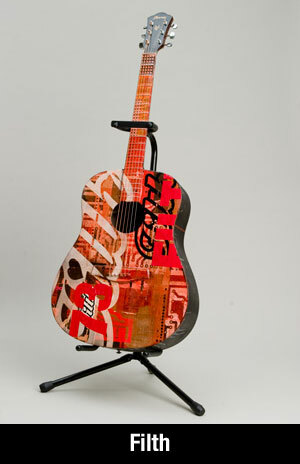 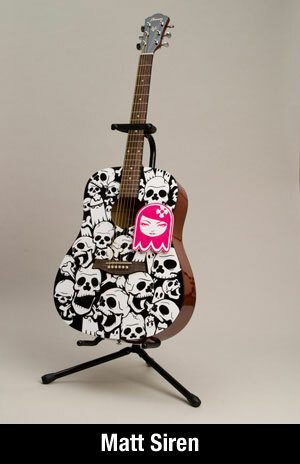 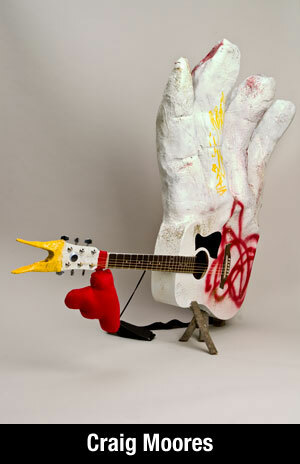 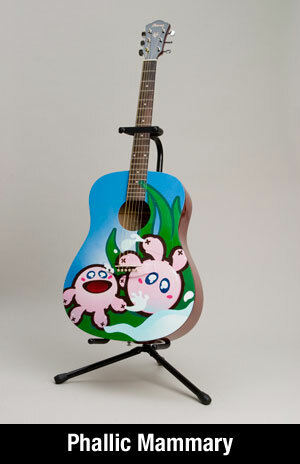 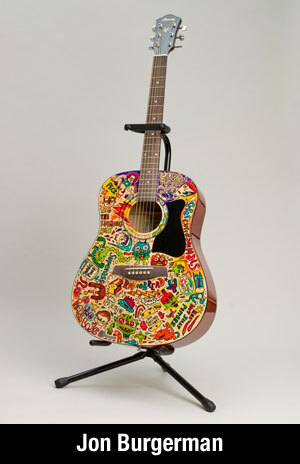 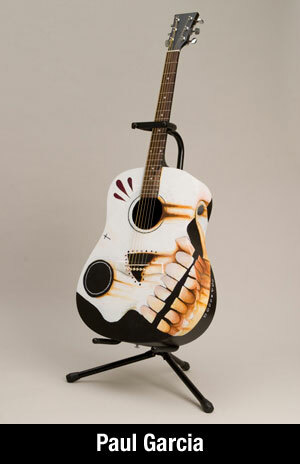 Featuring 18 customized acoustic guitars from a killer line up of artists including Sket One, MAD, Huck Gee, Mist, Jon Burgerman, Filth, Jeremyville, Darkcloud, Phallic Mammary, Matt Siren, and more. 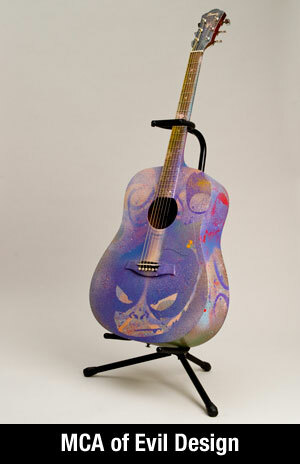 Starting Nov. 9th all 18 guitars will be put up for one week auctions on eBay.